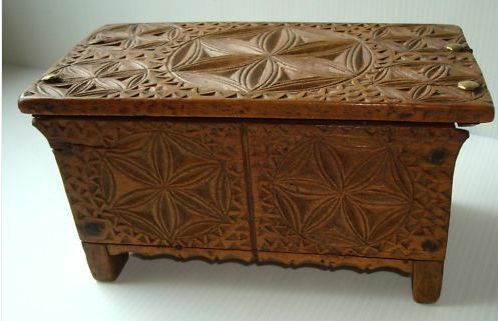 Continuing with my series on objects that bear the lacemaking name but may or may not be associated with the art, I’d like to take a look at furniture. The lacemaker needs a place to sit, and something to warm and/or support her feet. 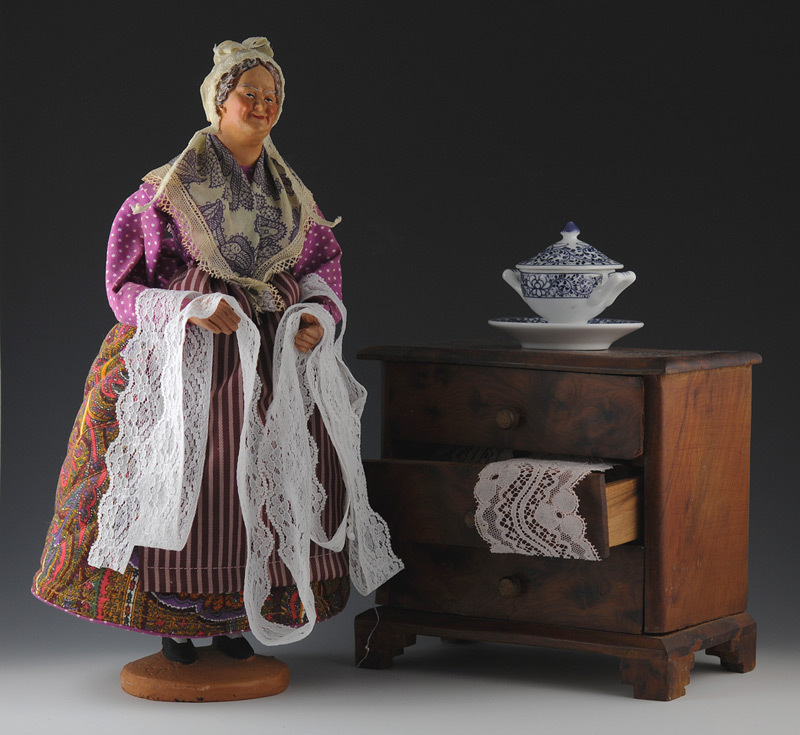 She needs storage space – boxes for bobbins, chests for her lace. In deciding whether or not to list an object in the ‘furniture’ category, I put a lot of weight on alternative uses. For example, a German klöppelstand supports the feet as well as the pillow, but no one would normally think it had another use. Well, OK, maybe some people think they are plant stands, but the majority of opinion is on the lacemaker’s side. Not so with chairs, stools, chests, and a large variety of boxes. 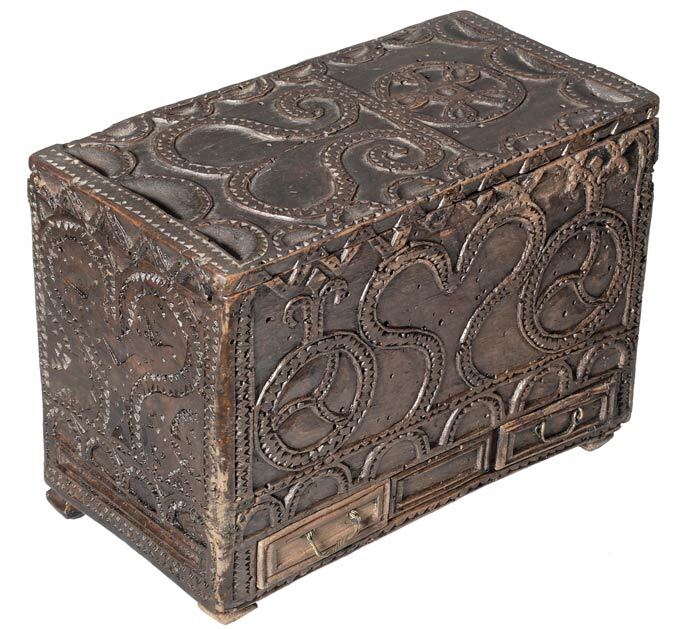 This is a wonderful collecting area, primarily because of the carved decoration often found in French provincial furniture. For example, Figure 1 shows a recognized example of a French lacemaker’s chair by a known artist. 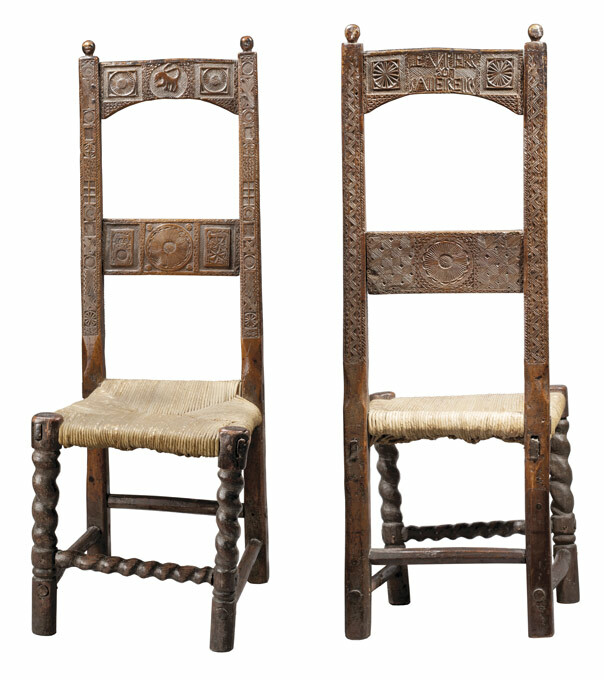 Chairs like this are generally low (to keep the knees up) with a high back, and carved as to be seen from both the front and back. Note the woven seat. They were usually made by a husband for his wife, or by a fiancé. The sunburst pattern on this chair might be taken as representing a lacemaker’s pillow, but it’s not altogether convincing. Note that the lighter wood in this example is typical of the Le Puy and Auvergne areas. Figure 1. Lacemaker’s chair Jean-Pierre Salleirelles, dated 1807, height 106.3 cm. It is one of a pair that sold at Drouot in 2009 – estimate was from 7,000 to 10,000 EUR. The area of French provincial furniture is one where the collector must take great caution – remember that as you look at the examples in this article. Fakes and reproductions are very common. The first example in Figure 2 would seem to be more appropriate to a lacemaker from the decoration – note the bobbin-like spools on the back. This piece and a similar companion have occasionally been offered on Ebay in the past few years, labeled as a reproduction. 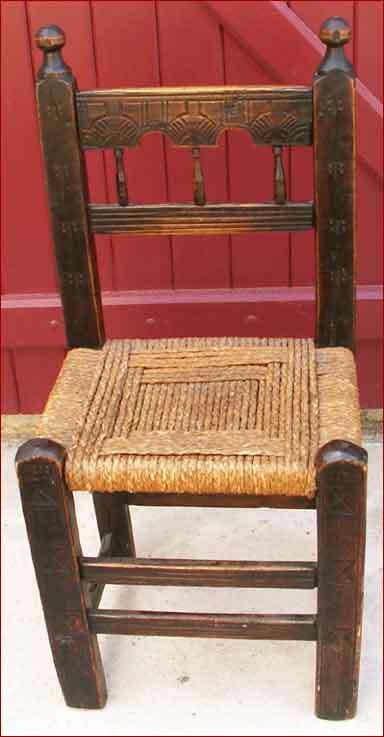 A second example in Figure 2 was also seen on Ebay, designated as a lacemaker’s ‘traveling chair’. It does appear to fold up, but the practical connection with lacemaking escapes me. Figure 2. Left: Probably a reproduction lacemaker’s chair. Right: Folding chair, origin unknown, but labeled as a lacemaker’s traveling chair. One might think that French postcards would be an interesting source of information on equipment, but most of the photographs are taken from the front revealing little about the lacemaker’s chair. The staged narrative postcard shown in Figure 3 might give some information on the type of chair used, note the woven seat and turned elements on the legs similar to Figure 1. But there seems to be no carving on the chair. More typical examples are seen in the other two cards, which show a simpler chair, again with a woven seat. Figure 3. Three postcards hinting at the form of lacemaker’s chairs. I only wish that we could ask the man caning the chair what the lacemakers of his village preferred as comfortable working seating. Is he working from a standard lacemaker’s template? Or is this general purpose seating. The lacemakers of all countries need something to sit on. Note the extremely low chair shown in the postcard of Figure 4 from Scanno in Italy. This small chair keeps the lacemaker’s knees very high, and a second chair is used to support the pillow. Figure 4. Small chairs used in the town of Scanno in the Abruzzo region of Italy. Figure 5 shows something that one sometimes sees in England called a Lacemaker’s Stool. The distinguishing characteristic are the stretchers connecting the legs. I discussed this with an antiques dealer, who thought they might support the lacemaker’s feet. 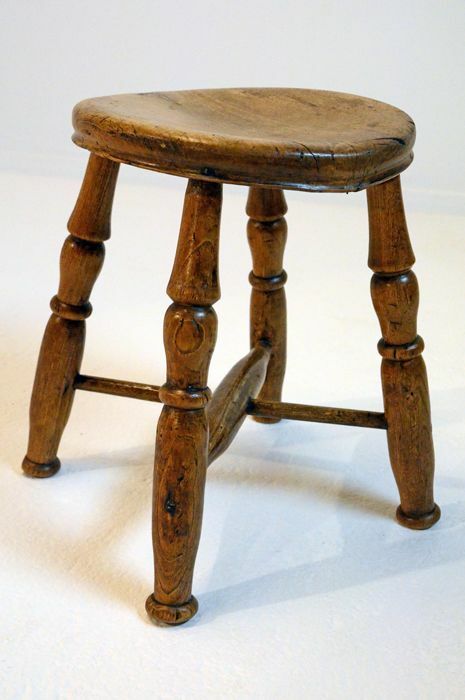 Or perhaps the entire stool could be inverted to support the lacemaker’s pillow… Unconvincing on either count, but the term occurs often enough to perhaps prompt further investigation. 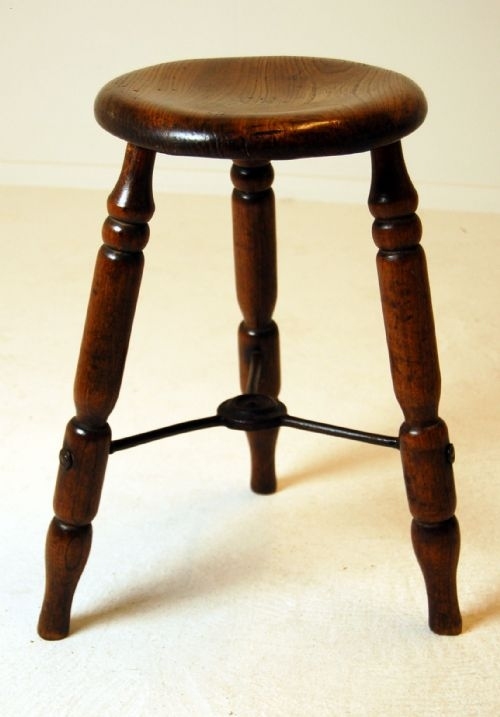 It does appear that this type of stool originates around Olney, Bucks, so there might be some forgotten lacemaking connection. Figure 5. 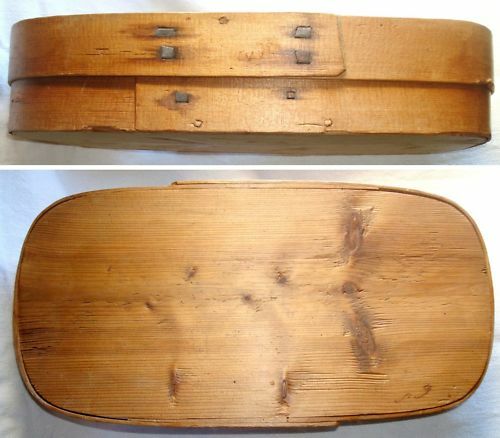 Two “Lacemaker’s Stools” with stretchers connecting the legs. As far as originality, the second warped example seems more properly aged than the first one. 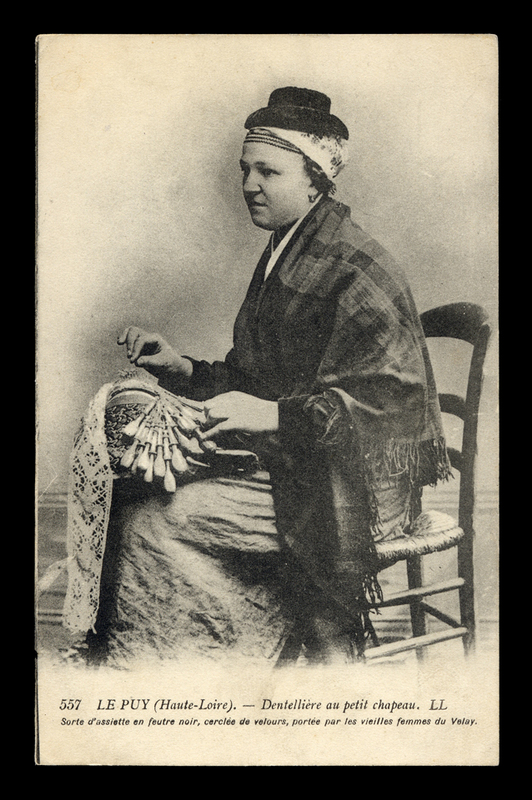 At the right is a lacemaker with a rather ordinary chair (see Diana Smith’s “East Midlands Lacemakers in Old Photographs” for information on this lady). 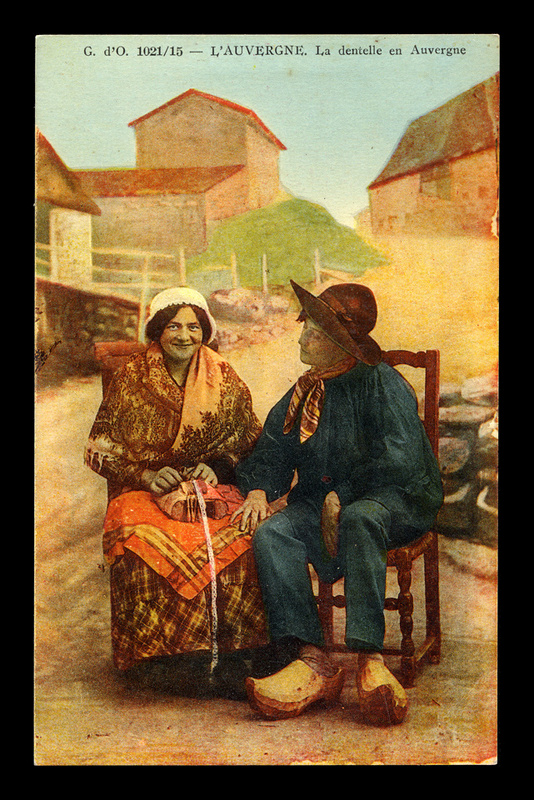 As with France, English postcards with side views showing chairs are rare, but those that do exist seem to show the lacemaker sitting on rather conventional chairs, not stools. 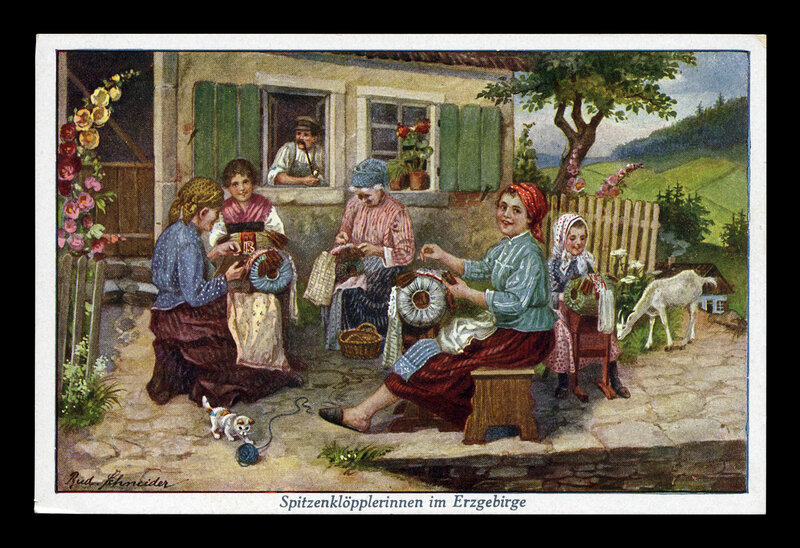 One country where lacemakers do seem to have the option to use stools is Germany, as seen in the first postcard of Figure 6. We can only assume this was taken from a representative scene. Given the care put into making klöppelstands, and the reputation of German woodworkers, it would be unusual if we could not find a special chair for the use of lacemakers. Figure 6. 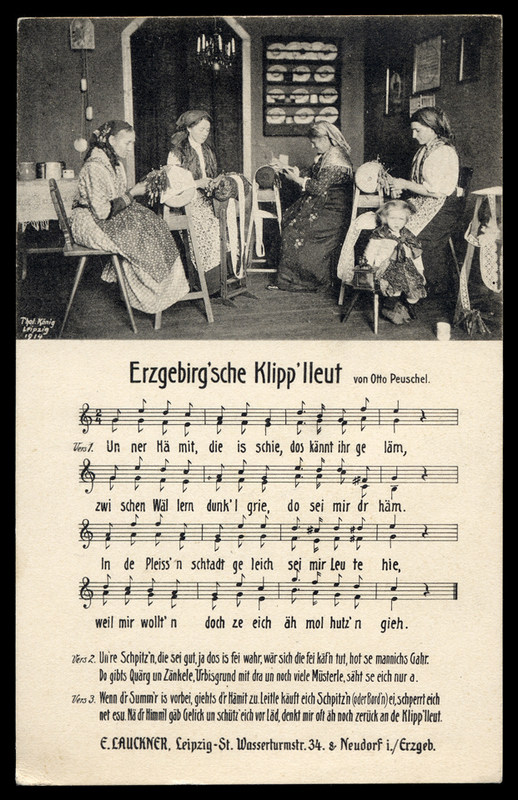 Two German postcards showing lacemaking scenes, although it is difficult to vouch for their strict accuracy. The lefthand card shows the use of stools with the köppelstand. The righthand card shows chairs not dissimilar to what is now known as a “spinner’s chair” among modern handspinners. 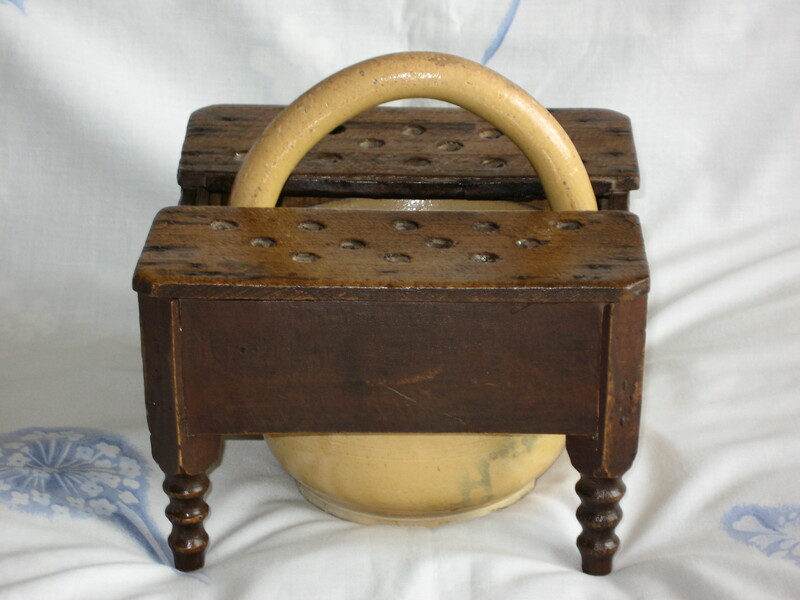 Moving to the lacemaker’s methods of foot support, a nice variety of footstools can be found. 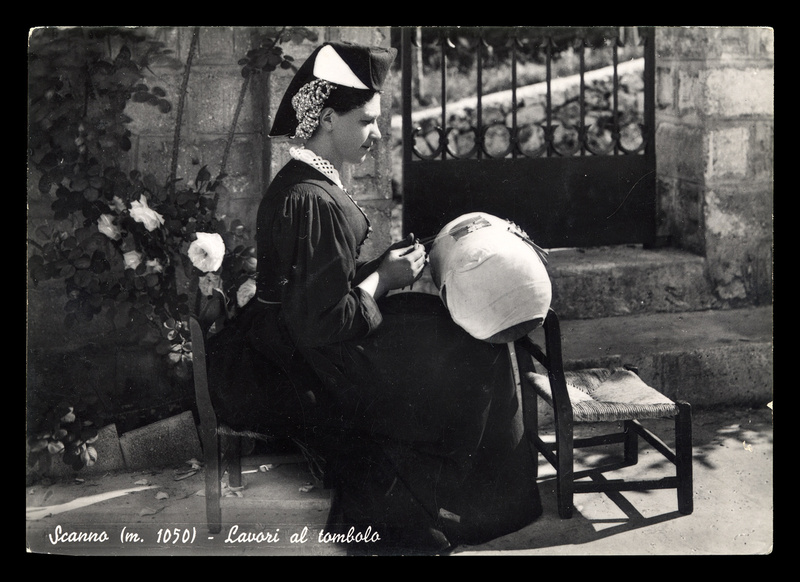 In both French and English images, especially in postcards, the lacemaker’s skirt is sometimes so long that it is difficult to tell if a footstool was used at all. In others it is obvious that the feet are planted firmly on the ground, sometimes raised a little with the French Sabot shoe. This arrangement is likely the result of a typically low chair which already raises the knees high enough to support the pillow. Other images definitely show the use of a footstool. 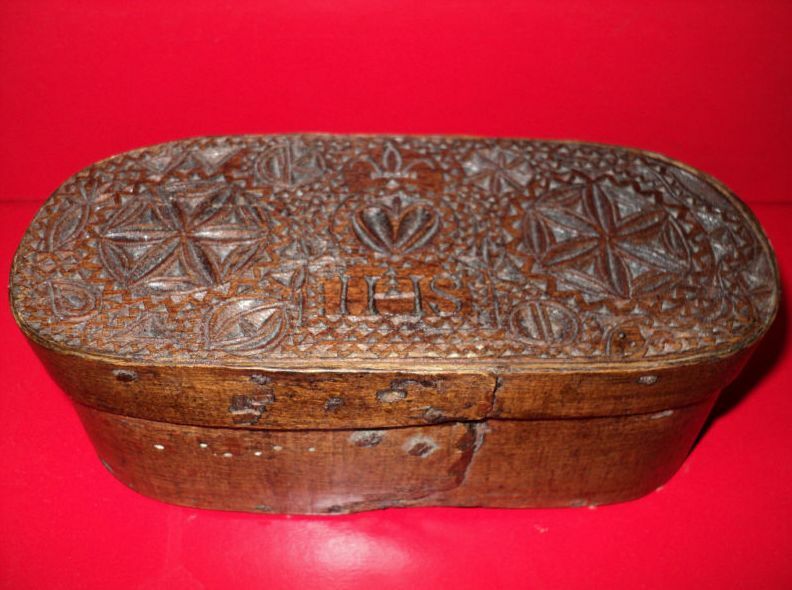 Figure 7 shows a wonderful French carved example from the Le Puy area. Figure 8 illustrates two more conventional pieces from Auvergne. Right: Wonderful carved French lacemaker’s footstool. Note the lighter colored wood typical of the Le Puy region. The piece measures 16″ long and 6″ high. The feet are fastened on with square headed nails. (The feet of the footstool, not the lacemaker’s feet…). 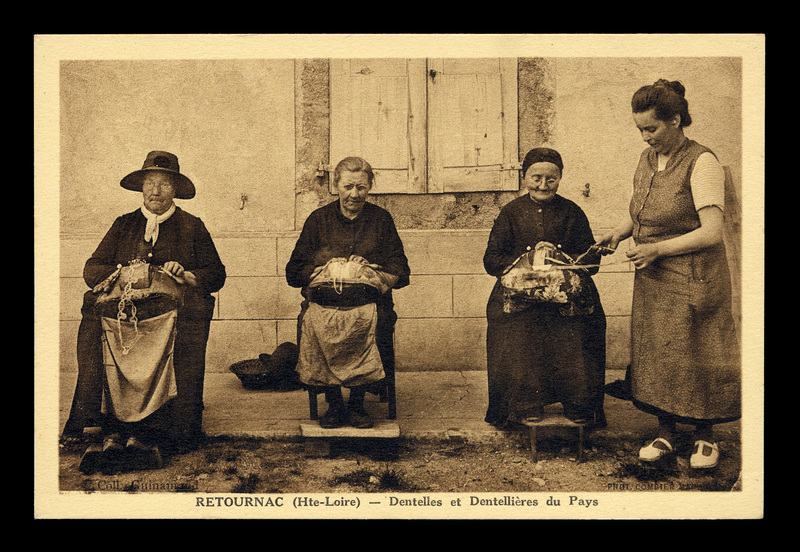 Right: Footstools in use are shown in this postcard image from Retournac. Figure 8. 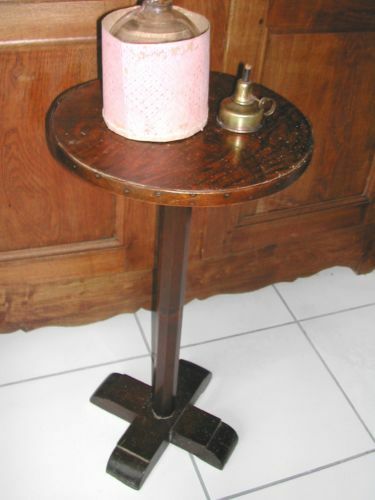 More conventional stools from Auvergne. The one on the left is nailed together, and is 10-3/4″ long, 6″ high. The example on the right is higher, 10-1/4″ long and 8″ high. The feet are held on with large flat-head screws with single slots. 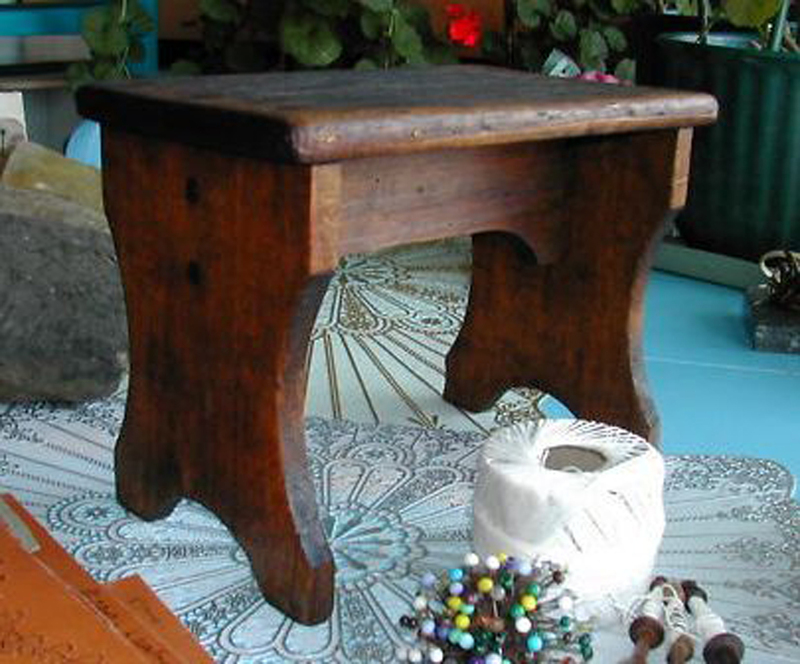 An example of an English footstool is shown in Figure 9. 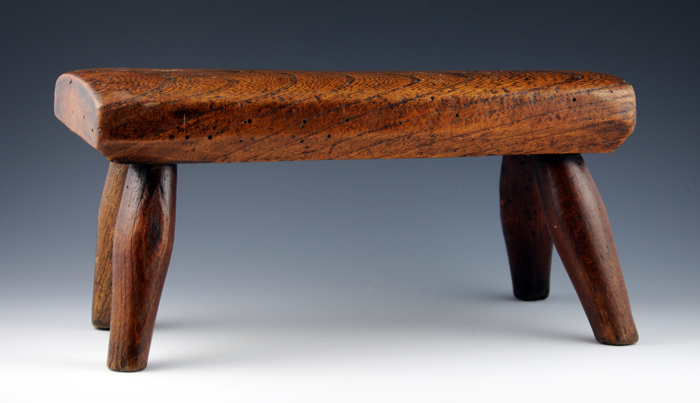 It is a wonderful rustic example, with the feet inset directly into the base. Figure 9. 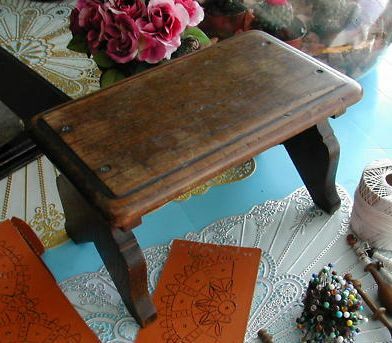 Left: English lacemaker’s footstool (ex. coll Shirley Burness-Smith). 10-1/2″ long x 5″ high. 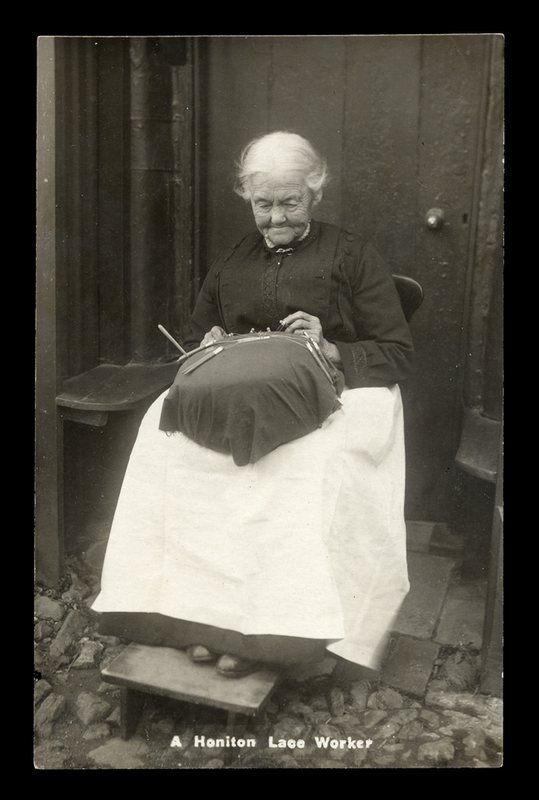 Right: Postcard of a Honiton lacemaker using a footstool. 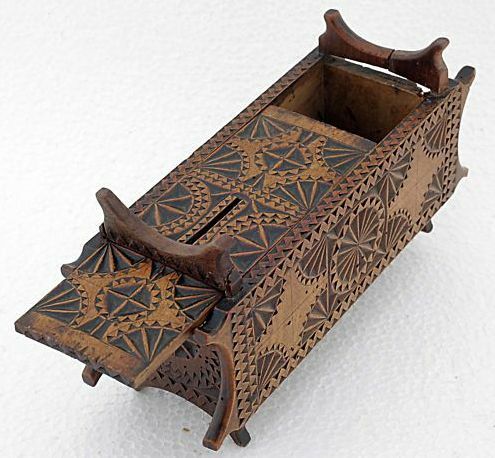 Foot support was not needed by lacemakers in England and Belgium who normally used a stand. Honiton workers seem to be the only ones using footstools in England. Figure 10 shows the earliest representation of bobbinlacemakers that we have – from the Nüw Modelbüch printed in Zurich in 1561. 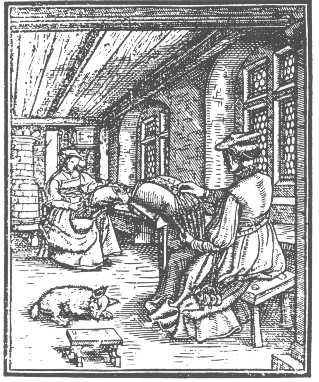 The foreground lacemaker is sitting on a stool, and the use of a stand would make a footstool unnecessary. But what is that low stool in the lower left corner of the picture? Why include it at all? It is a fascinating portrait. Figure 10. Frontpiece from the 1561 Nüw Modelbüch pattern book. The only thing we know about the author is his or her initials, R. M. Printed in Zurich by Christoph Froschauer. In the cold winter months a simple footstool no longer sufficed, and the lacemaker would turn to some kind of warming device. 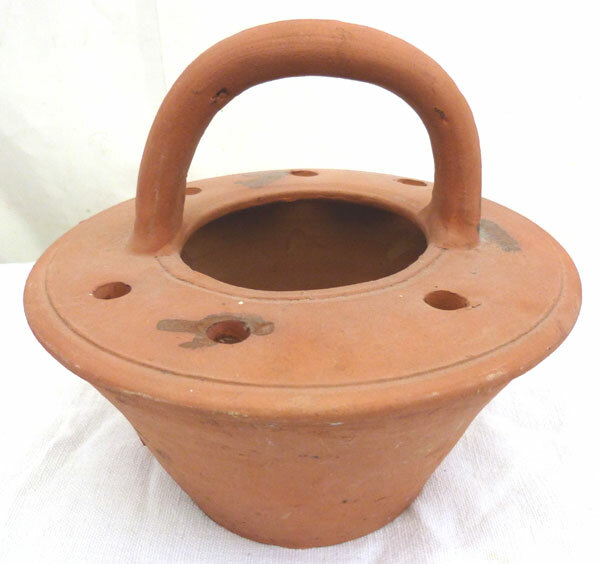 In France this need was supplied by the chaufferette – a vented basket usually of metal designed to hold hot coals, often with a carrying handle. The lacemaker’s feet rest on wooden insulators. Sometimes a second basket was contained within the larger one for easier cleaning. Figure 11 shows a typical example from the Le Puy area, along with a second terra cotta item of unknown origin. Figure 11. Top Left: Sheet metal Chaufferette. 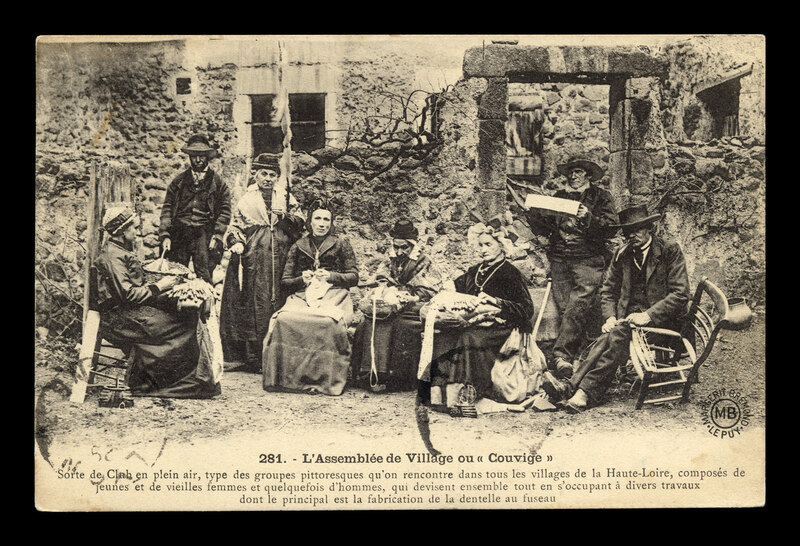 Top Left: Postcard of Lacemakers, probably from Le Puy. One is using a chauferette. Bottom: Terra Cotta footwarmer labled as a “chaufferette de dentelliere”. If true, this is an atypical example in France, but might have some relationship to the dickey pot discussed below. In England an interesting footwarmer known as the ‘dickey pot’ developed, as seen in Figure 12. 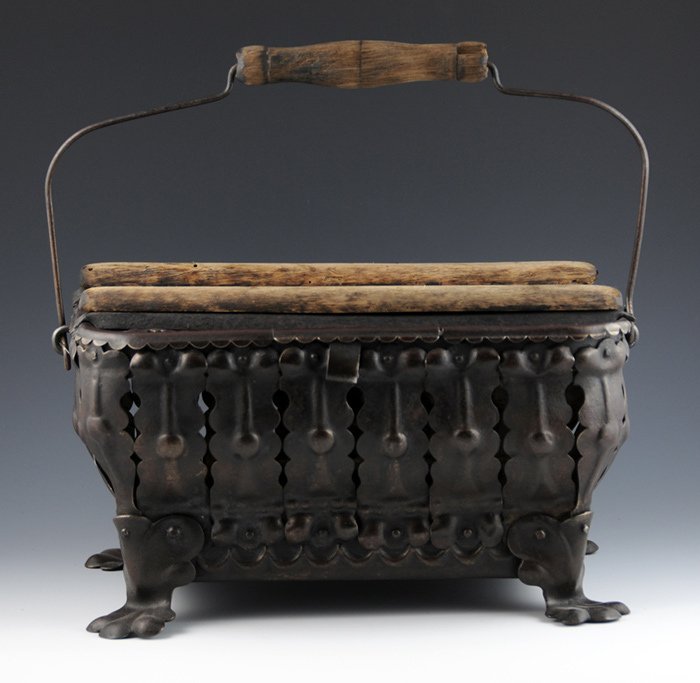 The stoneware pot holds the coals, and an elaborate wooden structure supports the feet. Figure 12. 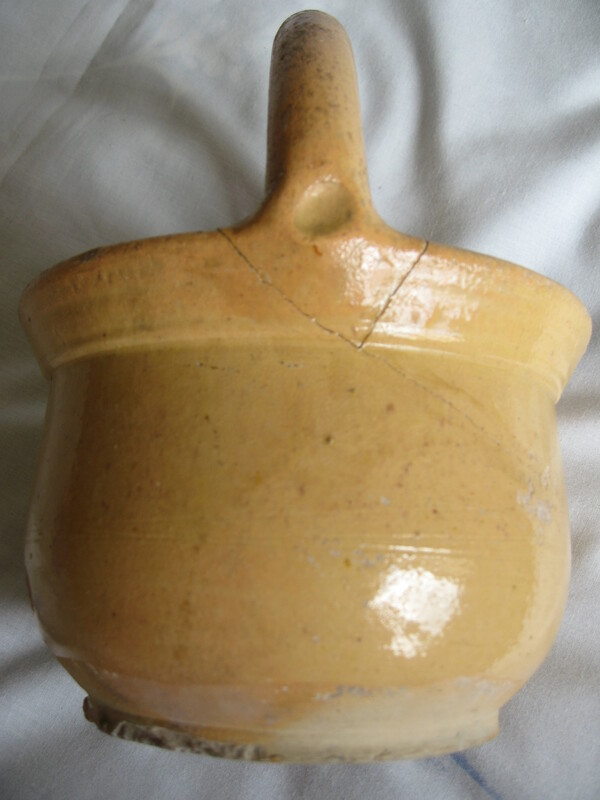 English dickey pot. Turning now to something different – the next series of figures show boxes which a lacemaker could use to store equipment. These developed extensively in France where they served as prime media for chip carving decoration. In French they are often called ‘boites’ and ‘coffrets’. Again, buyer beware – these are often reproduced and faked. To what extent these were actually used by lacemakers is unknown. Examples are shown in Figures 13 and 14. Figure 13. Boites de dentelliére. The one at the upper left may have been assembled from lacemakers pliors – the decorative plaques lacemakers would wind their finished lace around. The example in the lower right appears to be encased in metal. Figure 14. Boites de dentelliére often include innovative methods of opening lids, and elaborate locks. Turning the knobs in the correct combination in the last example will open the lid. 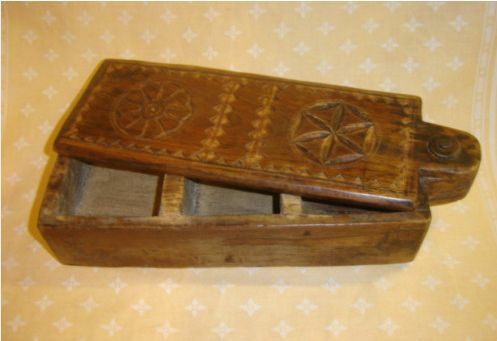 Another type of lacemaker’s box from France strongly resembles the American Shaker oval box. 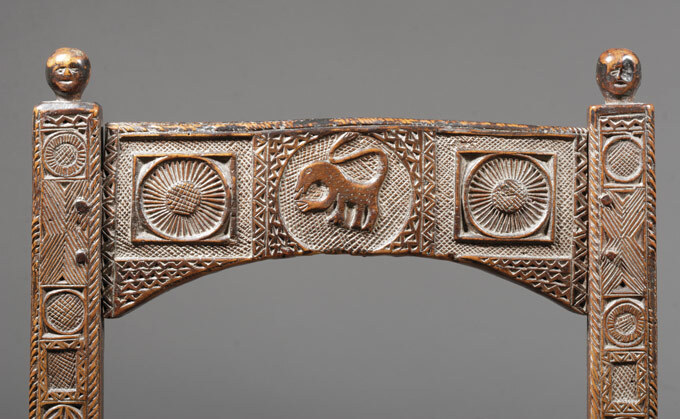 The first example in Figure 15 is elaborately decorated in with chip carving. The second example is a more typical plain wood arrangement. Figure 15. French ‘oval’ boites de dentelliére of thin wood fastened together with rivets. The depth of these boxes can vary considerably, and sometimes examples have more than one layer. 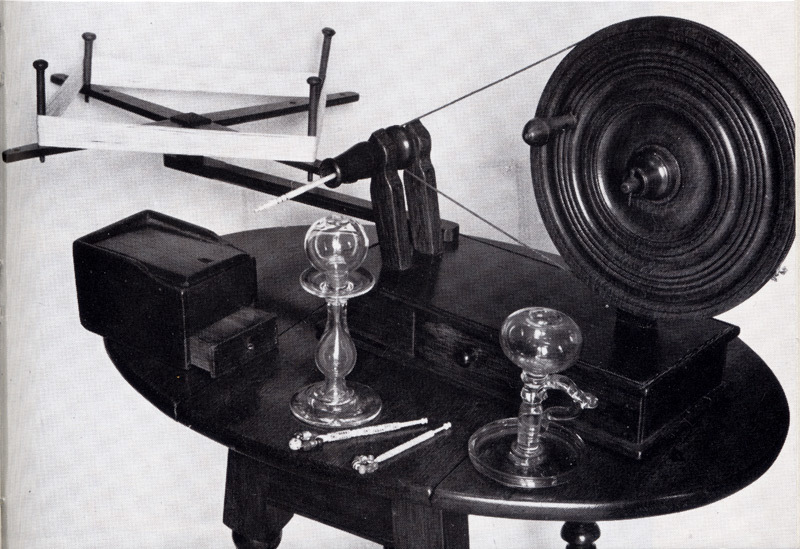 We should also include English bobbin boxes in this discussion, as shown in Figure 16. I’ve made use of the Heutson figure in the lacemaker’s lamp discussion http://tinyurl.com/3q39zro, and it is still useful here. 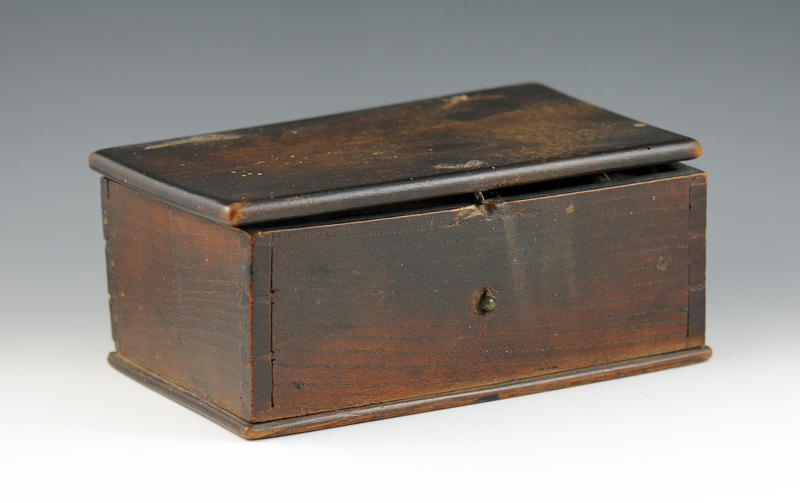 English bobbin boxes like these date from the early 19th century, are small, and can be quite complex. They can contain separate spaces for wound and unwound bobbins, pins, and other implements. Figure 16. English bobbin boxes. Left: Figure described in T. L. Heutson “Lace and Bobbins” on page 86. The small bobbin box appears to have a sliding lid and a lower drawer. Note the small size, and how several compartments could be fit into the space. Right: Bobbin box purchased from the Springett collection. The lid is held on by wire hinges, one of which is missing. The front clasp is also broken. It measures 6-5/8″ long, 4″ wide, 3-1/2″ high. 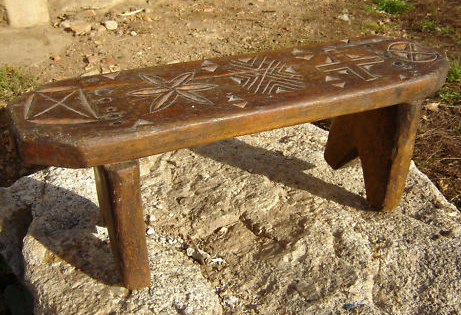 Specialized tables for lacemaking are rare, however in the Le Puy area there is a very distinctive type shown in Figure 17. This narrow, tall table is very solid, and the top is edged with an additional band of wood. Several examples are in the collection of the Retournac Museum. There is limited space on top, but it is a documented form. Figure 17. Small table from the Le Puy area. Height 28″, top diameter, 14.5″. To finish I would like to mention one more furniture form, the “lacemaker’s chest”. 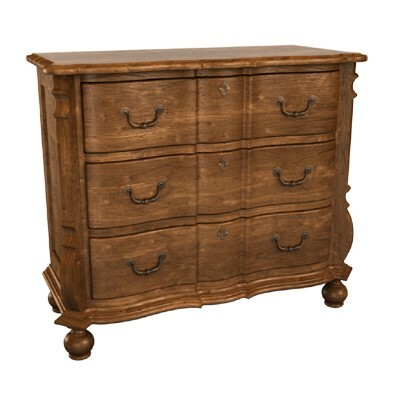 This small chest of drawers seems to be more common in France. Note the Santon Lace Merchant in Figure 18 with a chest to store her laces – it shows the approximate proportions of such an item. Figure 18 also shows a modern interpretation by the Drexel Heritage Company from their Tuscany collection. Figure 18. 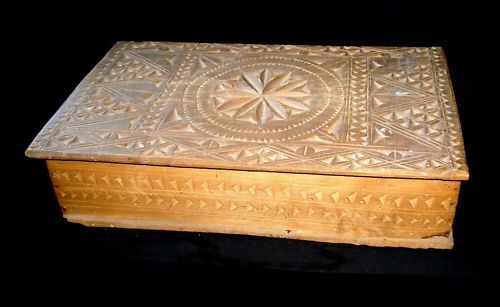 Right – Santon by Simone Jouglas with a lacemaker’s chest. 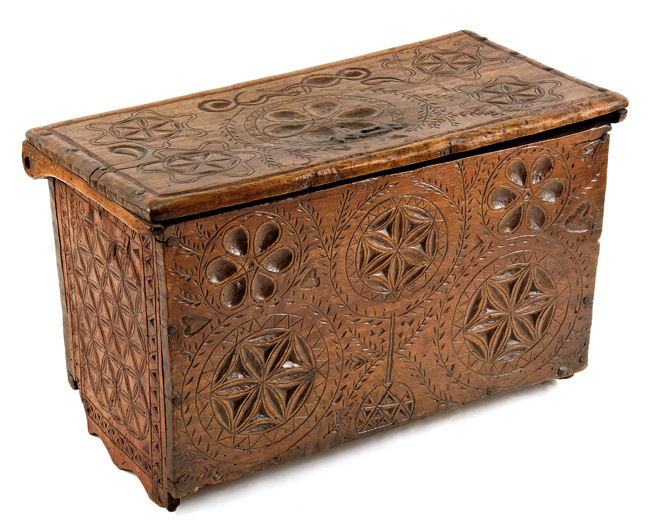 Other Santon examples of Lace Merchants with chests are known. Right – Drexel Heritage Lacemaker’s Hall Chest, 35.5″ high. With the exception of the foot supports and some well documented chairs and small pieces, the label of “lacemaker” attached to the items discussed in this article should be taken with caution. Be especially careful of the boxes. Lacemakers certainly did need places to put things, and it is not unreasonable to assume the names now attached to these items have good solid origins. But there is little documented evidence, particularly in the postcard photographic record. Nonetheless, they can be a wonderful (though often faked) collecting area. 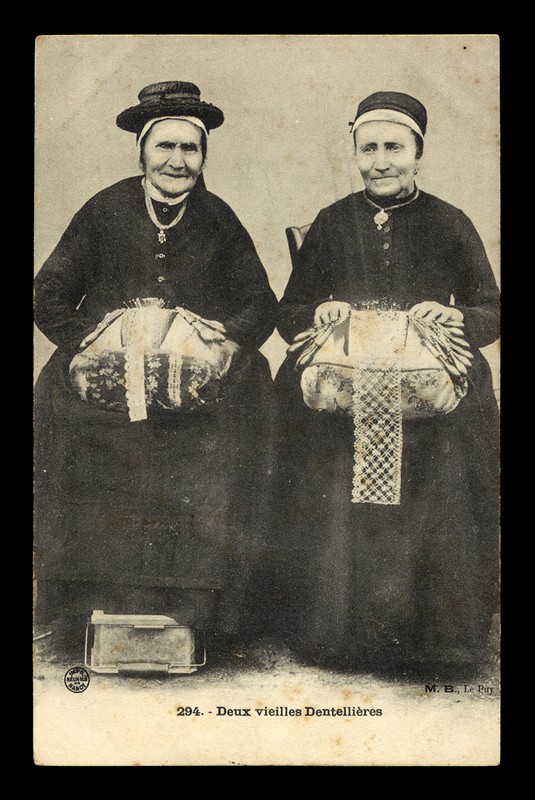 Interesting pictures, but I see no reason to assume that the chairs, stools, benches and boxes are anything other than normal domestic furniture, simply conveniently at hand to use in lace-making. The upright chairs look simply like ones that have been taken outside to work in the sunlight, and would be taken back indoors to put around the table for the next meal. Similarly, the lower chairs I would call ‘nursing chairs’, to provide a lap for feeding a baby. I always used a low chair for this purpose. 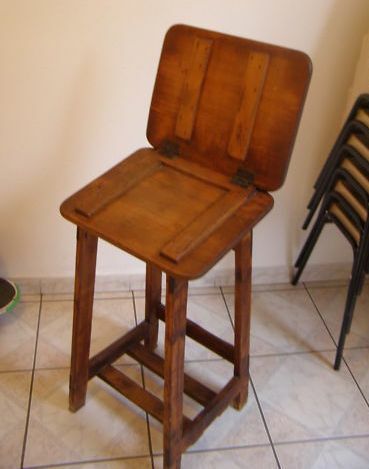 Stools were common for children, as they take up less space that chairs. 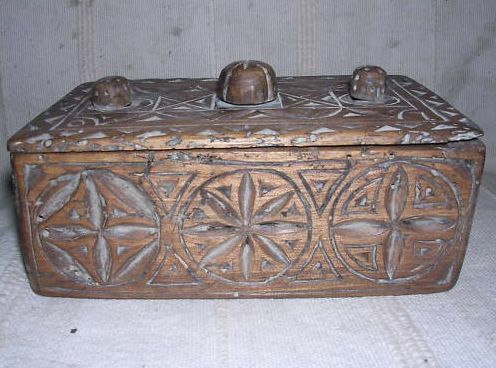 The carved boxes are the equivalent of what was commonly carved in UK to serve as a Bible Box. In Italy certainly all young women would accumulate their domestic linen, often beautifully embroidered, and their lover would have reason to carve a box for these. Suggesting that these were lace-related widens the antique dealers’ markets! My purpose in writing this series is to ask why the name ‘lacemaker’ is attached to various objects. All the items discussed have recently been sold, or are in existing museum collections labeled with a ‘lacemaker’ descriptor, in various languages, and I am not promoting anything that isn’t already done. For example, the ‘coffret dentellière’ comes up regularly on Ebay. I am in no position to change long established practices of the antiques business – but I do find it an interesting question to delve a little more deeply into why it came to be this way. As with the previous article on lacemaker’s lamps, a primary point is to show that lacemakers do indeed use ordinary objects in their work, but that over time their name becomes associated with the objects – pull the string and start asking why. The survival of the name may be the only indication we ever have that the object was lace-related, and we now have to make an evaluation of the truth of the assertion. As for chairs, I find this an interesting subject, and one that has not previously been investigated. Spinners and other trades have a recognized chair style; why should lacemakers be any different, especially in a large local industry? If you look at a number of photos certain trends start appearing, for example, the low chair to keep the knees high seems to be a common element. 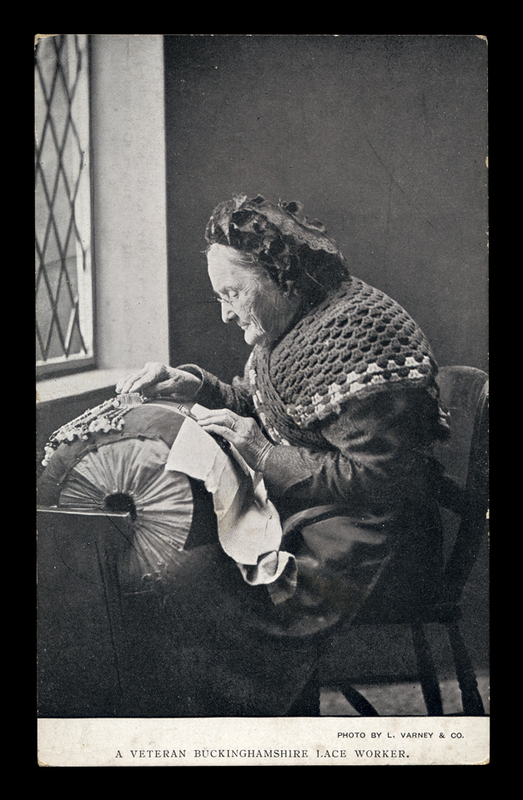 Then again, when have any of us ever looked at the chair itself in the photo of a lacemaker? Maybe there is something to learn in taking a hard look at supposedly ordinary objects. Something that might have been forgotten when today we can just go to any furniture store and buy a chair.